These classes are focused on introducing teens to fitness as well as a great training supplement to sports training. Your teens will learn the fundamentals about weightlifting, plyometrics, endurance and gymnastics. 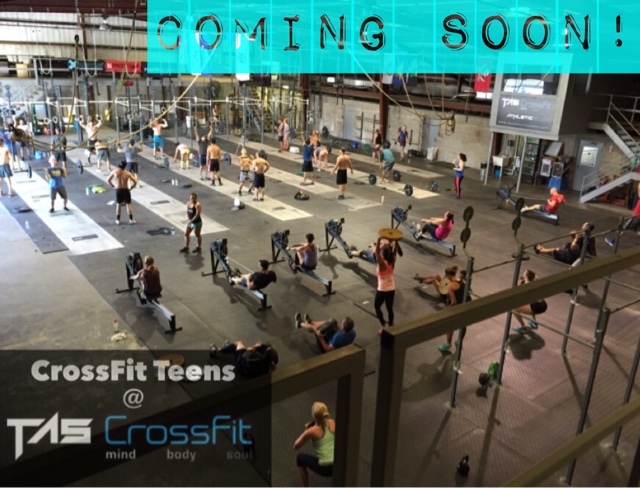 CrossFit Teens classes will provide general physical preparedness to those teens that are not currently active in sports but also enhance the abilities of those who are in sports. No matter what sport if any your teen is in, this class will be beneficial to them. Just like our CrossFit classes, there is unlimited scalability. So no matter what level of fitness your teen is at, they will be able to fit right in with the class and work at their pace and ability. Please contact Brittany for additional information. * two classes per week.